Firm: Additon, Higgins & Pendleton, P.A. John Higgins focuses primarily on intellectual property litigation involving patents, trademarks, copyrights and trade secrets and related antitrust and unfair trade practices claims. He has represented a broad range of clients in a number of federal courts across the country. He pursues early resolution of disputes through settlement when appropriate and possible but resolves disputes by trial and arbitration when necessary. John also advises and assists clients with procuring intellectual property rights and counsels clients on other aspects of intellectual property, including freedom to operate, patentability, licensing, patent prosecution, and patent portfolio management. 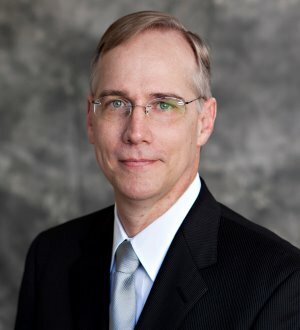 He has experience in a broad range of technical areas, including organic chemicals, fiber optics, medical testing and devices, packaging, machinery, textile materials and processes, tools, paint films, and computer software. John has testified as an expert witness in several cases involving trade secrets, construction/design defects, and wrongful death (chemical facility). In each case, his testimony contributed to a favorable jury verdict, arbitration award, or settlement. He served (by appointment of the U.S. District Court) as a member of the Advisory Committee on Local Patent Rules for the Western District of North Carolina. John was previously a partner in the Intellectual Property Litigation Group with Alston & Bird, LLP. He began his legal career with Johnston, Allison & Hord, P.A. practicing in the area of construction litigation. Prior to law school, John worked for Exxon (now ExxonMobil) as a petroleum engineer.